RegTech is the emergence of new technologies in the regulatory space is offering financial services institutions growing possibilities to reduce costs and improve the quality of its regulatory response process, says Elmo Olieslagers, Managing Partner of Compendor. The financial services industry continues to face a growing volume of regulatory change, as both international and domestic legislators craft rules to improve the functioning of the, in the eyes of many, still ailing industry. According to a recent survey from Thomson Reuters among 600 compliance practitioners in financial services, the end of regulatory pressure is by no means in sight – 70% of respondents expect regulators to publish even more regulatory information in the next year, with 28% expecting significantly more. Consequently, nearly two-thirds, 63%, of respondents foresee the workload from compliance-related activities to increase in the next year. In the wake of the growing regulatory and compliance burden, financial services firms are increasingly looking at ways to decrease the costs for implementation and monitoring. Compliance budgets have spiralled in recent years: 55% of institutions say their compliance budgets have increased by up to 25% or more in the previous 12 months, with 62% of respondents saying similar the year previous. 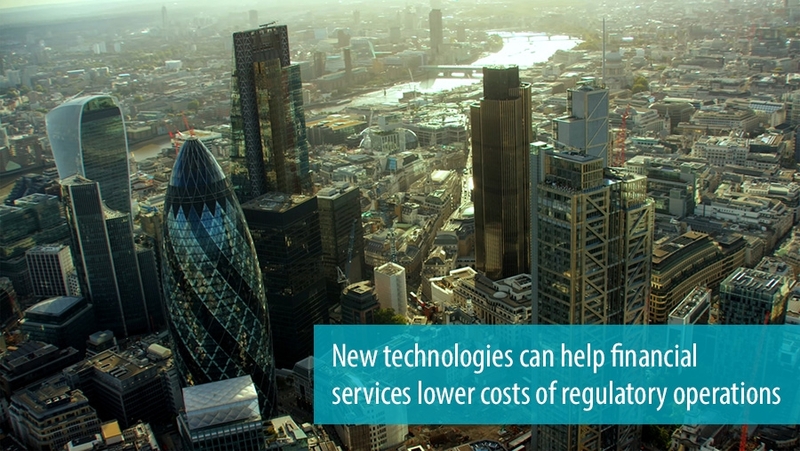 In doing so, one of the methods rapidly gaining terrain is ‘RegTech’, which stands for Regulatory Technology – digital processes and tools that leverage technology and online support models integrated in day-to-day operations to enable a more automated, cost-effective way of meeting compliance and regulatory reporting needs. According to Olieslagers, founder of Compendor, a boutique consultancy with a focus on financial services RegTech, the adoption of innovative solutions combined with online support models can bring down costs substantially, in particular at organisations that enjoy higher levels of RegTech maturity. At the heart of the benefits stand two central themes: better analysis among core stakeholders, and improvement to business performance. 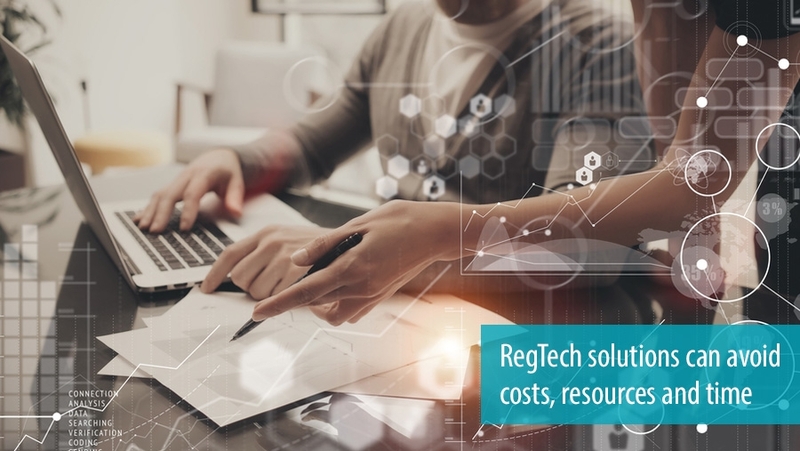 RegTech solutions can avoids costs, resources and time that previously was spent reinventing the wheel: interpretation of regulation. At the majority of financial services institutions, business lines and/or legal entities are granted the mandate to interpret the same regulation autonomously. This stems in the most cases from the organisation structures in the industry, in which country organisations enjoy a significant share of sovereignty on business critical processes such as compliance. Yet in the case of global or European regulation, local interpretation often leads to inefficiencies. “This not only creates de-harmonisation and eliminates efficient best-practice sharing (learning) but also introduces (often small) differences in processes leading to additional workload in reconciliation down”, he states. Another aspect that can improve regulation assessment is the use of online self-assessments. “Bolstering knowledge, leveraging a tool with completely up-to-date legislation, helps employees focus on only those legal requirements that are relevant to their organisation, avoiding time and money spent on topics that should not concern them in the first place.” The combination of these elements leads to improved efficiency across the process, down the line enabling improved cost control. Adopting a unified, value-chain based approach, instead of fragmented autonomy of business lines and entities.